"Mandatory Syria" redirects here. For the earlier Syrian state under French mandate, see State of Syria (1925–1930). unratified Franco-Syrian Treaty of 1936. (Lebanon was not part of the plan). In 1938, Alexandretta was also excluded. The Syrian Republic (Arabic: الجمهورية السورية‎ al-Jumhūrīyah as-Sūrīyah; French: République syrienne), known as Mandatory Syrian Republic, or simply Mandatory Syria was formed in 1930 as a component of the French Mandate of Syria and Lebanon, succeeding the State of Syria. A treaty of independence was made in 1936 to grant independence to Syria and end official French rule, but the French parliament refused to accept the agreement. From 1940 to 1941, the Syrian Republic was under the control of Vichy France, and after the Allied invasion in 1941 gradually went on the path towards independence. The proclamation of independence took place in 1944, but only in October 1945 Syrian Republic was de-jure recognized by the United Nations; it became a de-facto sovereign state on 17 April 1946, with the withdrawal of French troops. The Syrian flag shall be composed as follows, the length shall be double the height. It shall contain three bands of equal dimensions, the upper band being green, the middle band white, and the lower band black. The white portion shall bear three red stars in line, having five points each. During December 1931 and January 1932, the first elections under the new constitution were held, under an electoral law providing for "the representation of religious minorities" as imposed by article 37 of the constitution. The National Bloc was in the minority in the new Chamber of deputies with only 16 deputies out of 70, due to intensive vote-rigging by the French authorities. Among the deputies were also three members of the Syrian Kurdish nationalist Xoybûn (Khoyboun) party, Khalil bey Ibn Ibrahim Pacha (Al-Jazira province), Mustafa bey Ibn Shahin (Jarabulus) and Hassan Aouni (Kurd Dagh). There were later in the year, from March 30 to April 6, "complementary elections". In 1933, France attempted to impose a treaty of independence heavily prejudiced in favor of France. It promised gradual independence but kept the Syrian Mountains under French control. The Syrian head of state at the time was a French puppet, Muhammad 'Ali Bay al-'Abid. Fierce opposition to this treaty was spearheaded by senior nationalist and parliamentarian Hashim al-Atassi, who called for a sixty-day strike in protest. Atassi's political coalition, the National Bloc, mobilized massive popular support for his call. Riots and demonstrations raged, and the economy came to a standstill. After negotiations in March with Damien de Martel, the French High Commissioner in Syria, Hashim al-Atassi went to Paris heading a senior Bloc delegation. The new Popular Front-led French government, formed in June 1936 after the April–May elections, had agreed to recognize the National Bloc as the sole legitimate representatives of the Syrian people and invited al-Atassi to independence negotiations. The resulting treaty called for immediate recognition of Syrian independence as a sovereign republic, with full emancipation granted gradually over a 25-year period. In 1936, the Franco-Syrian Treaty of Independence was signed, a treaty that would not be ratified by the French legislature. However, the treaty allowed Jabal Druze, the Alawite region (now called Latakia), and Alexandretta to be incorporated into the Syrian republic within the following two years. 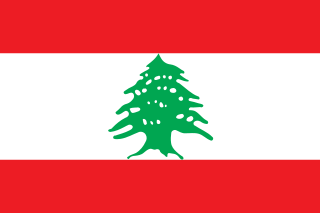 Greater Lebanon (now the Lebanese Republic) was the only state that did not join the Syrian Republic. Hashim al-Atassi, who was Prime Minister during King Faisal's brief reign (1918–1920), was the first president to be elected under a new constitution adopted after the independence treaty. In September 1938, France again separated the Syrian Sanjak of Alexandretta and transformed it into the State of Hatay. The State of Hatay joined Turkey in the following year, in June 1939. Syria did not recognize the incorporation of Hatay into Turkey and the issue is still disputed until the present time. The emerging threat of Adolf Hitler induced a fear of being outflanked by Nazi Germany if France relinquished its colonies in the Middle East. That, coupled with lingering imperialist inclinations in some levels of the French government, led France to reconsider its promises and refuse to ratify the treaty. Also, France ceded the Sanjak of Alexandretta, whose territory was guaranteed as part of Syria in the treaty, to Turkey. Riots again broke out, Atassi resigned, and Syrian independence was deferred until after World War II. With the fall of France in 1940 during World War II, Syria came under the control of the Vichy Government until the British and Free French invaded and occupied the country in July 1941. Syria proclaimed its independence again in 1941 but it was not until 1 January 1944 that it was recognized as an independent republic. In the 1940s, Britain secretly advocated the creation of a Greater Syrian state that would secure Britain preferential status in military, economic and cultural matters, in return for putting a complete halt to Jewish ambition in Palestine. France and the United States opposed British hegemony in the region, which eventually led to the creation of Israel. On 27 September 1941, France proclaimed, by virtue of, and within the framework of the Mandate, the independence and sovereignty of the Syrian State. The proclamation said "the independence and sovereignty of Syria and Lebanon will not affect the juridical situation as it results from the Mandate Act. Indeed, this situation could be changed only with the agreement of the Council of the League of Nations, with the consent of the Government of the United States, a signatory of the Franco-American Convention of April 4, 1924, and only after the conclusion between the French Government and the Syrian and Lebanese Governments of treaties duly ratified in accordance with the laws of the French Republic. Benqt Broms said that it was important to note that there were several founding members of the United Nations whose statehood was doubtful at the time of the San Francisco Conference and that the Government of France still considered Syria and Lebanon to be mandates. Duncan Hall said "Thus, the Syrian mandate may be said to have been terminated without any formal action on the part of the League or its successor. The mandate was terminated by the declaration of the mandatory power, and of the new states themselves, of their independence, followed by a process of piecemeal unconditional recognition by other powers, culminating in formal admission to the United Nations. Article 78 of the Charter ended the status of tutelage for any member state: 'The trusteeship system shall not apply to territories which have become Members of the United Nations, relationship among which shall be based on respect for the principle of sovereign equality.'" So when the UN officially came into existence on 24 October 1945, after ratification of the United Nations Charter by the five permanent members, as both Syria and Lebanon were founding member states, the French mandate for both was legally terminated on that date and full independence attained. On 29 May 1945, France bombed Damascus and tried to arrest its democratically elected leaders. 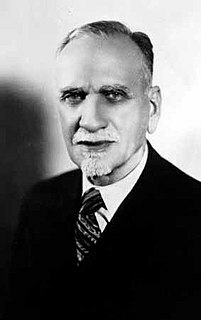 While French planes were bombing Damascus, Prime Minister Faris al-Khoury was at the founding conference of the United Nations in San Francisco, presenting Syria's claim for independence from the French Mandate. Syrian independence was de-jure attained on 24 October 1945. Continuing pressure from Syrian nationalist groups and British pressure forced the French to evacuate their last troops on 17 April 1946. ^ Youssef Takla, "Corpus juris du Mandat français", in: Méouchy, Nadine; Sluglet, Peter, eds. (2004). The British and French Mandates in Comparative Perspectives (in French). Brill. p. 91. ISBN 978-90-04-13313-6. Retrieved 2012-04-01. ^ a b The 1930 Constitution is integrally reproduced in: Giannini, A. (1931). "Le costituzioni degli stati del vicino oriente" (in French). Istituto per l’Oriente. Retrieved 31 March 2012. ^ Mardam Bey, Salma (1994). La Syrie et la France: bilan d'une équivoque, 1939-1945 (in French). Paris: Editions L'Harmattan. p. 22. ISBN 9782738425379. Retrieved 2012-04-01. ^ Tachjian, Vahé (2004). La France en Cilicie et en Haute-Mésopotamie: aux confins de la Turquie, de la Syrie et de l'Irak, 1919-1933 (in French). Paris: Editions Karthala. p. 354. ISBN 978-2-84586-441-2. Retrieved 2012-04-01. ^ Tejel Gorgas, Jordi (2007). Le mouvement kurde de Turquie en exil: continuités et discontinuités du nationalisme kurde sous le mandat français en Syrie et au Liban (1925-1946) (in French). Peter Lang. p. 352. ISBN 978-3-03911-209-8. Retrieved 2012-04-01. Hatay Province is a province in southern Turkey, on the eastern Mediterranean coast. The administrative capital is Antakya (Antioch), and the other major city in the province is the port city of İskenderun (Alexandretta). It is bordered by Syria to the south and east and the Turkish provinces of Adana and Osmaniye to the north. The province is part of Çukurova (Cilicia), a geographical, economical and cultural region that covers the provinces of Mersin, Adana, Osmaniye, and Hatay. There are border crossing points with Syria in the district of Yayladağı and at Cilvegözü in the district of Reyhanlı. Hatay State, also known informally as the Republic of Hatay, was a transitional political entity that existed from September 7, 1938, to June 29, 1939, in the territory of the Sanjak of Alexandretta of the French Mandate of Syria. The state was transformed de jure into the Hatay Province of Turkey on July 7, 1939, de facto joining the country on July 23, 1939. Hatay Province includes districts of Erzin, Dörtyol and Hassa in addition to former Hatay State territories. The Sanjak of Alexandretta was a sanjak of the Mandate of Syria composed of two qadaas of the former Aleppo Vilayet and became autonomous under Article 7 of the 1921 Treaty of Ankara: "A special administrative regime shall be established for the district of Alexandretta. The Turkish inhabitants of this district shall enjoy facility for their cultural development. The Turkish language shall have official recognition". That was because of the presence of Turkic peoples along with Syriacs and Arabs of various religious denominations: Sunni Muslims, Alawites, Greek Orthodox, Greek Catholics and Maronites. There were also communities of Armenians, Greeks, Assyrians, Jews and Kurds. Jabal al-Druze was an autonomous state in the French Mandate of Syria from 1921 to 1936, designed to function as a government for the local Druze population under French oversight. This is a survey of the postage stamps and postal history of Syria. The State of Syria was a French Mandate state declared on 1 December 1924, with effect from 1 January 1925, from the union of the State of Aleppo and the State of Damascus. It was the successor of the Syrian Federation (1922–1924) which had been created by providing a central assembly for the State of Aleppo, the State of Damascus and the Alawite State. The Alawite State did not join the State of Syria.